Happiness can be found in the smallest of things. It is our position to transform your everyday routines into meaningful rituals. Warm and vitalizing, this new line of traveling cosmetic products promises to cover your every day needs and turn your daily skincare into pleasure. Use Argan Essence hair conditioner and your hair will thank you! Healthy, beautiful, shiny hair starts in the shower so make sure to use the right shampoo and conditioner for your hair. Your hair will truly get smoother and softer. For more stunning hair use Argan Source Shampoo sample. 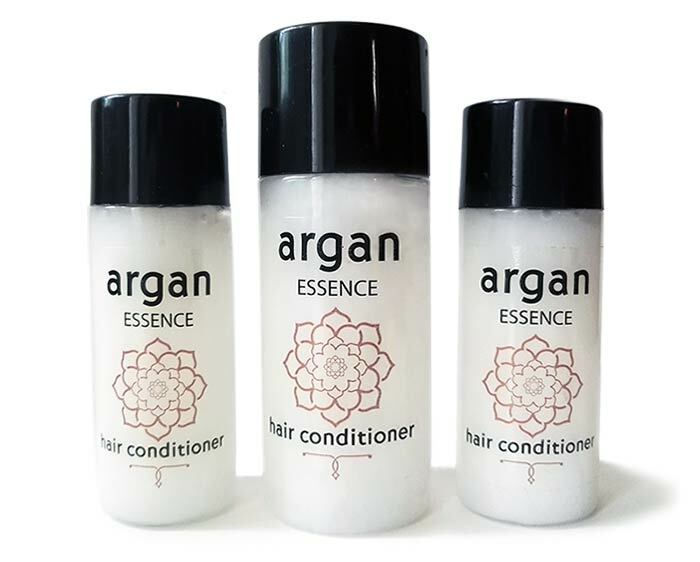 Want to get a Free Argan Essence hair conditioner samples? Just complete the form to the right. Offer ends at 11:59 PM CT on 3/31/19 (“Promotion Period”). Offer valid at participating locations only. Void where prohibited or restricted by law. Valid while supplies last and is subject to promotional availability. No substitution or cash redemption. Available to customers located in the USA, Canada, Europe and UK.